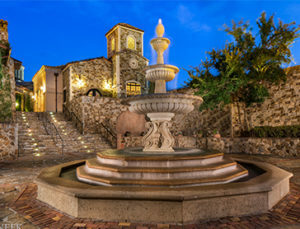 On November 13th the WGA hosted our Fall Grants Awards dinner at Bella Collina. Two grants were awarded that will be focused on mental health in teens. The first grant was awarded to E3 Family Solutions and it addresses reducing risk behavior among middle and high school students. The organization was awarded $31,749. Be Free Lake, the second organization will be providing “You’re Not Alone”, a prevention program for high school students and Mental Health First Aid training for the parents. They were awarded $15,500. Both programs are evidence-based and will be providing the WGA with key perfomance indicators. 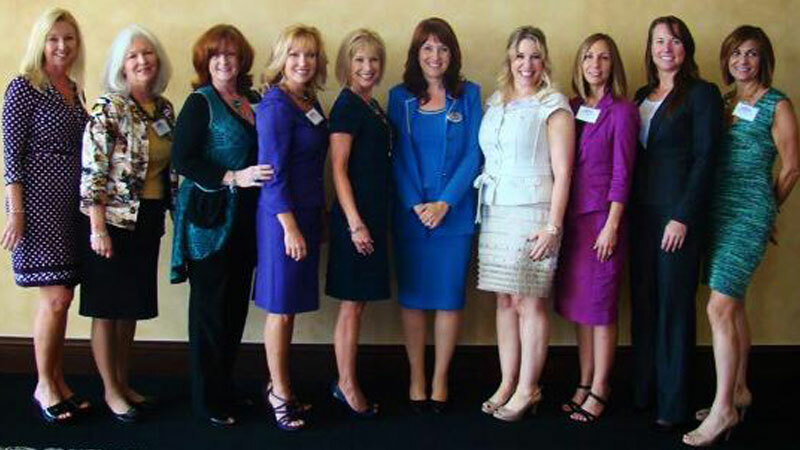 The Founders, pictured above from right to left: Denise Wallace, Becky Elswick, Mary Lou Burdette-Wieloszynski, J.J. Dahl – Vice President, Sheri Olson – Treasurer, Meredith Nagel – Secretary, Cary Carbonaro – President, Anita Geraci-Carver, Alison Strange, and Sally Hessburg. To Join the WGA: Complete your membership form WGA-MEMBERSHIP-COMMITMENT-FORM (fillable) and return to kathy@cfslc.org or mail to 2150 Oakley Seaver Dr, Clermont, FL 34711. Click HERE pay your WGA dues. When you invest in women and children, you lift the whole community. Learn how the Women’s Giving Alliance of South Lake uses data-informed grantmaking, impact investing, educational programming and leadership development to do just that. The Women’s Giving Alliance is a giving circle, where members contribute individually but make grants collectively. Each member represents a link in an ever-growing chain that enables the Women’s Giving Alliance to achieve far more together than its members could accomplish on their own. 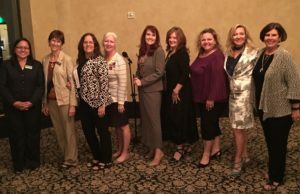 Since April of 2014 the Women’s Giving Alliance has grown to over 50 members strong and we are proud to announce we have gained nine Legacy Members who have committed to a $25,000 donation that will ensure a lifetime membership, along with providing support for the WGA’s work in perpetuity. During our inaugural grant cycle, through a generous anonymous donation of $10,000 by one of our members, we were able to make a difference in the lives of women through a program provided by LifeStream Behavioral Center. “Women Opting for Wellness” allowed twenty women who would otherwise not be able to receive mental health services. Our second year we provided $40,000 to four organizations assisting women and children: Anointed Community Services, Find, Feed & Restore, Milestone Counseling, & New Beginnings. In November of 2017 the Women’s Giving Alliance hosted an their annual grants award dinner at Bella Collina and celebrated our third cycle of grant awards. The WGA was able to grant our single largest grant of $25,000 to “Find, Feed & Restore”. Brian Broadway addresses the issue of homelessness by providing travel trailers to families who live in cars or tents and places them into a stable environment. The program is a holistic approach that provides individual & family counseling, financial budgeting, childcare assistance, resume preparation and computer training courses. In the 2018 grant cycle the WGA awarded two grants for a total of $47,249. And over the life of the WGA a total of $122,749 has been awarded to the South Lake community to address issues that affect women and children. This group of women have made significant impact through their philanthropic dollars. It is our hope that as we grow our membership, we will grow the impact we have on the community through our grants process. Reach out and welcome all women who wish to join. Build relationships among women united in their desire to improve the lives of women and children. Develop a membership of educated philanthropists who understand community needs and become informed, pioneering grantmakers. Conduct our grantmaking with integrity, fiscal responsibility and respect for our grant recipients. Each member of the Women’s Giving Alliance contributes $1,000 annually. This investment allows members to participate in two forms of philanthropy—collective grantmaking and endowment building. The annual membership fee allows for 70% to be granted directly into the community, 20% for the endowment, and 10% to cover the day to day operations and overhead costs of the WGA. The Women’s Giving Alliance (WGA) of South Lake County welcomes all women who would like to make a difference in our community. In just four short years the WGA has provided South Lake County with over $122,749 in grants, and we have grown to over 50 women-strong! Our founders provided the Leadership and a solid foundation for us to grow, and we are passionate about taking the WGA to the next level! We would like to engage our current members further and increase membership by offering more opportunities for women to connect, learn and get involved! If you are new to the WGA, a current member, or you know someone that would like to learn more, we invite you to join us at an upcoming event. It’s a great opportunity to meet like-minded women, learn about the issues in our community, hear about our successes and our goals for making a long-lasting impact in our community. We want to connect with great women, share our successes and provide a casual forum for you to learn, share, connect and to get involved! At a minimum, you’ll enjoy a few hours with some amazing ladies in our Community. Don’t forget to register for our Fall Grants dinner where we’ll celebrate the WGA’s good work. Invite a friend or colleague to see how the women of Lake County are making a difference. Through the power of collective giving, we are making a difference in Lake County – one member at a time!